Limbwalkers Tree & Crane Service is a Morganton tree service company that offers stump grinding in addition to its tree and crane services. We can remove stumps of any size with our low impact equipment that packs a heavy punch so Limbwalkers Tree & Crane Service can accomplish grinding any stump down to size. 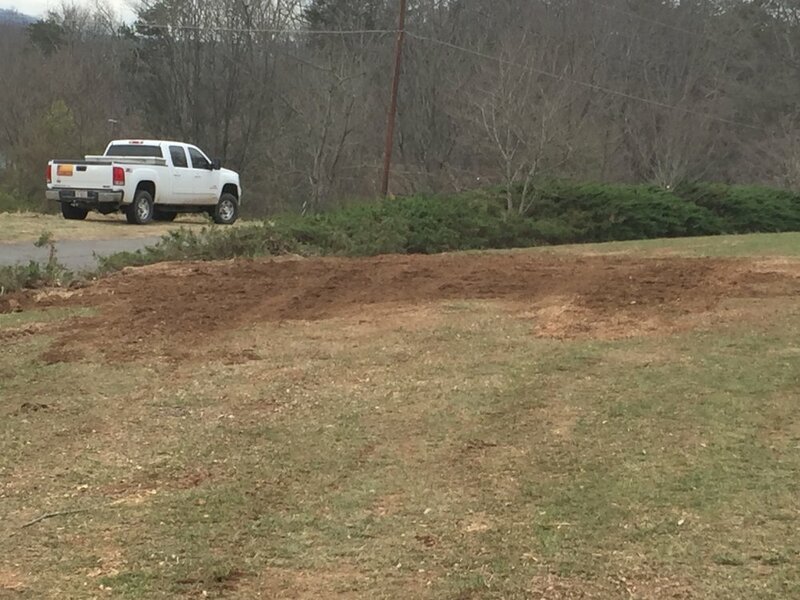 If you live in Morganton or surrounding Burke, Caldwell, Catawba, or McDowell counties and are in need of stump grinding service contact us today! Limbwalkers Tree & Crane performing stump grinding service in Morganton, NC. Having Limbwalkers Tree & Crane Service remove tree stumps from your landscape and perform stump grinding will not only increase the curb appeal and market value of your property, but will also eliminate a huge breeding ground for insects. A rotting stump is a refuge for all types of insects—from roaches, to ants, to the worst of all: termites. By grinding out the stump, Limbwalkers Tree & Crane will eliminate insect issues and help protect your landscape from future damage. Furthermore, stump mulch is healthy for your yard! After Limbwalkers grinds your stump into mulch, it can be used as a soil supplement or mulch for your garden. At Limbwalkers Tree & Crane Service sustainability is important so we are sure to provide efficient and effective stump grinding and stump removal. Limbwalkers Tree & Crane Service's industry-leading stump grinders can grind much deeper than stump grinding competitors at an impressive 16 inches deep! Our machines are track driven for low impact to your landscape and our grinders are able to fit through a 38-inch opening to get in those hard to reach places or steep grades to perform stump grinding services. 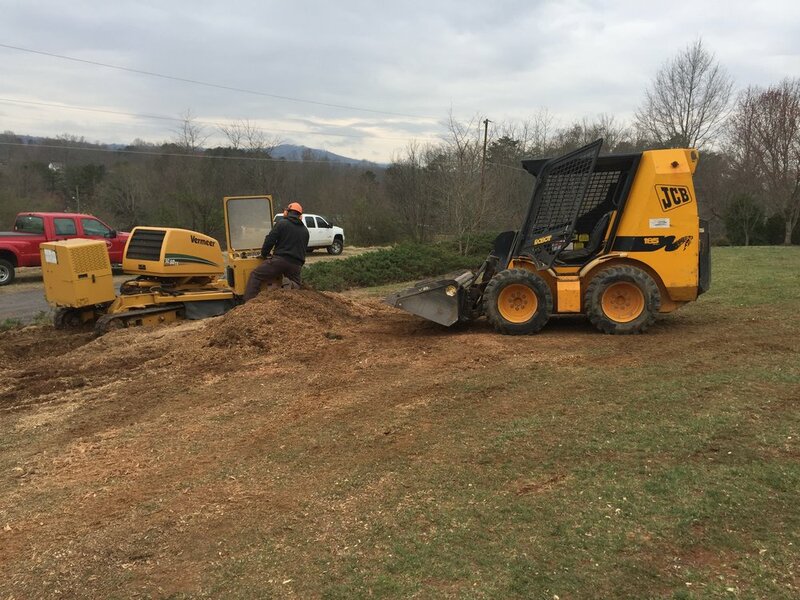 Limbwalkers stump grinding service is available in Morganton and surrounding western North Carolina counties including Burke, McDowell, Caldwell, and Catawba. 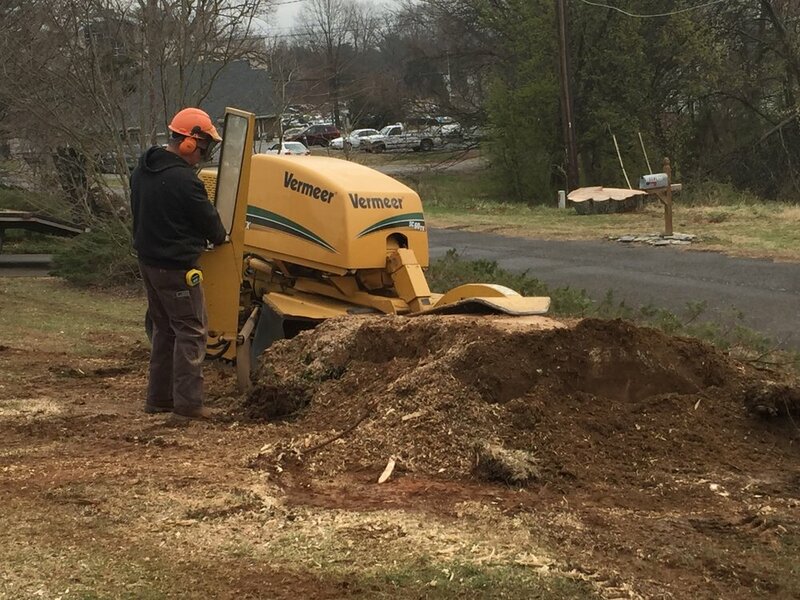 If you're in need of Morganton stump removal and stump grinding contact us today!